So one of the key features in the web interface will be missing, the Subscription management where you can change important settings like the max disk space that the subscription is allowed to use or the traffic. If you are new with plesk, probably this doesn't tell you nothing as you usually set everything to unlimited in new projects, however you will face this problems when you migrate a website to your new server and the old server had another Plesk license. 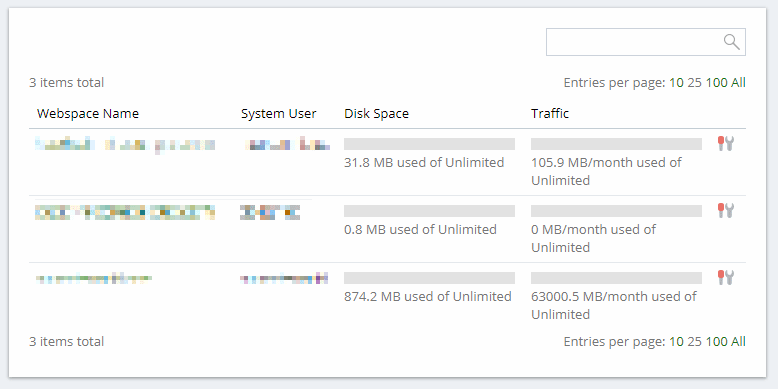 In this article, we'll show you how to update the Max Allowed Disk Space and the Max Allowed Traffic of a domain (subscription) in Plesk using the CLI. It's worth to say that the commands are executed in the command line interface, so you will need SSH access to your server (Putty etc). Other accepted values in the same instructions is of Megabytes e.g 500M. For more information about the subscription_settings CLI tool of Plesk, please read the official documentation here.